Featuring gorgeously rich yellow color with a pinch of rare orange, this 0.27 carat cushion Natural Fancy Vivid Orangy Yellow diamond comes to life before your very eyes. 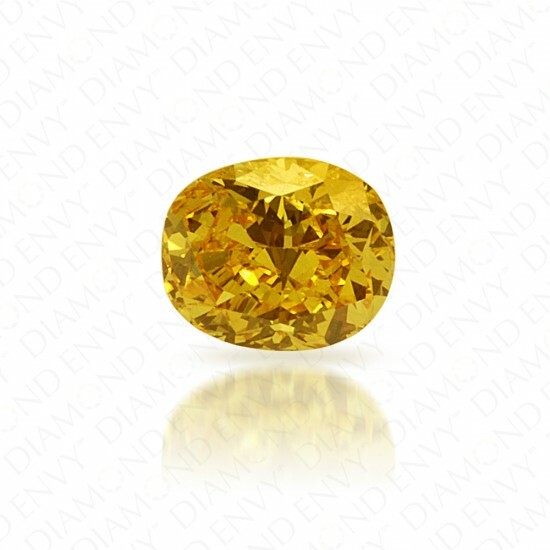 This natural Vivid Orangy Yellow diamond boasts fantastic brilliance and a very nice face. 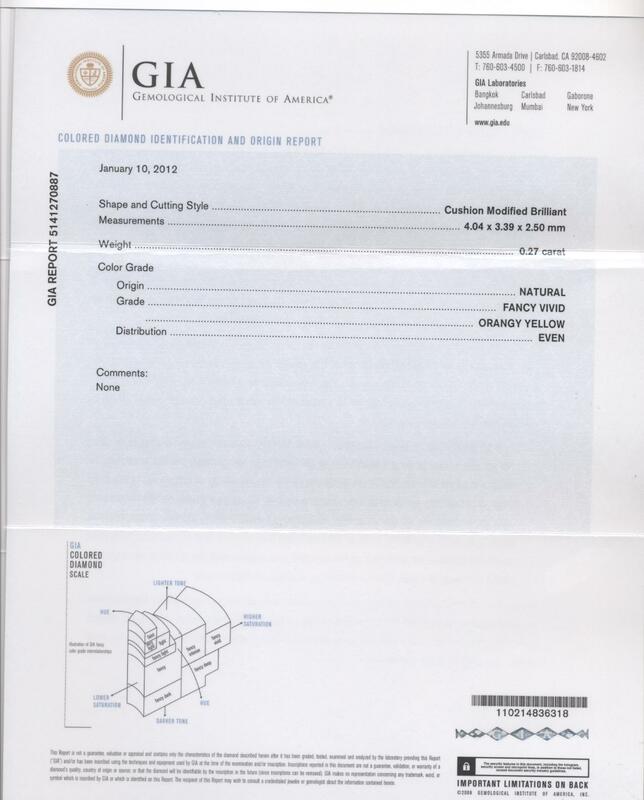 This natural colored diamond is GIA-certified.